It seemed inevitable, perhaps that this would happen. Reports are now calling for David Moyes to be ousted as manager of famed club Manchester United. Was this necessary? The way the 2013-2014 campaign has gone for Manchester United is so far below the expected that it would seem unfair, to some extent, to continue with the same manager at the helm. Early exit from the FA Cup, no semifinal in the Champions League, not even a chance of a place in next year's continental tournament just scream one thing: Change. What went so wrong for Moyes? Respect. Where Ferguson had the world as a fan, Moyes only had half a city and some dispersed fans, including Landon Donovan. His tactics were also much more defensive and non-inventive in nature, as was his desire for change within the club. And where other new managers have thrived in their inheritance of great clubs, i.e. Guardiola with Barcelona, Moyes failed to deliver early on. This, perhaps, marked his eventual form throughout a tournament that saw high-flying Liverpool and a resurgent Arsenal (at least in the early half of the season). What's next for Manchester United if Moyes's departure does transpire? Ryan Giggs might just be what the team needs. His interim status might be turned permanent if he is willing/able to bring some results to the table. 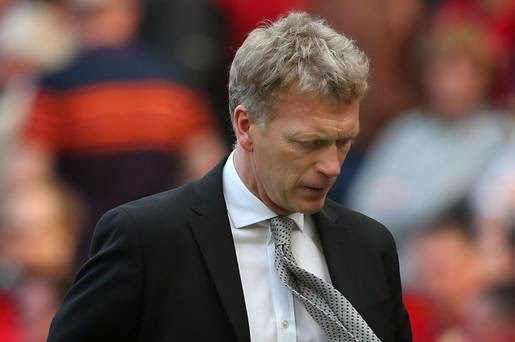 In the end it is a bit sad that Moyes could not continue Manchester United's long life as a perennial victor. It could have been the cruelty of statistics or the reality of personal inability. Either it was time for the legendary to club to fall from grace as Liverpool did a few years back or it simply wasn't Moyes's job to be the chosen one from the start.